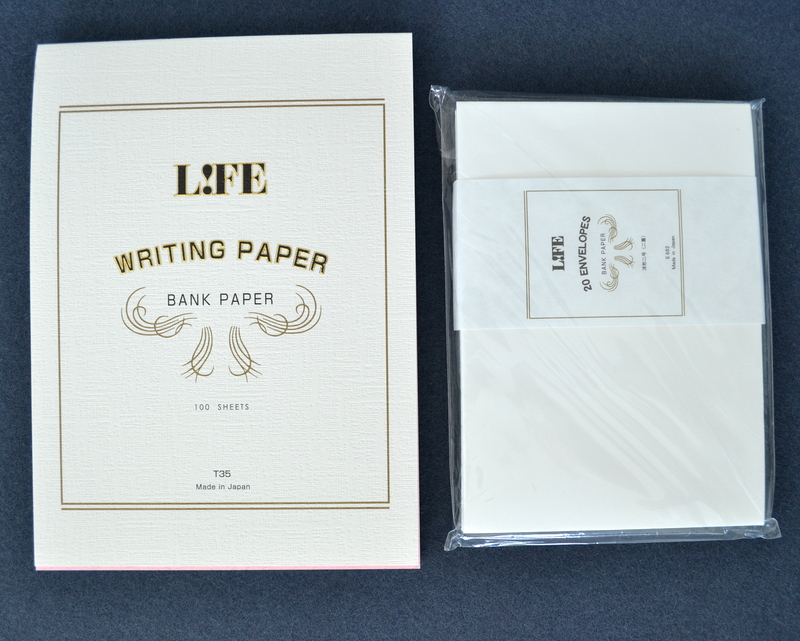 Life Bank Paper is a smooth woven paper that I really like for its high quality and simplicity. 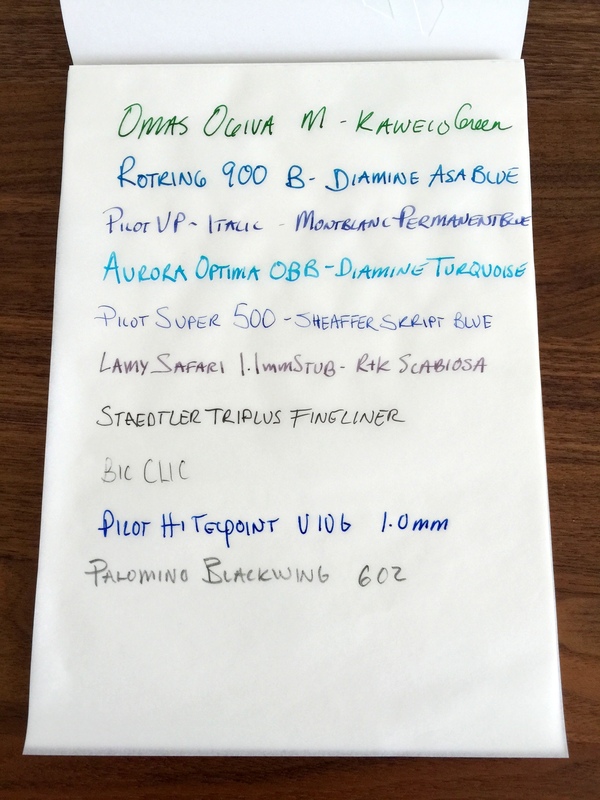 They are sold in pad of 100 sheets and packages of 20 envelopes in A4 and A5 sizes. I purchased the A5. 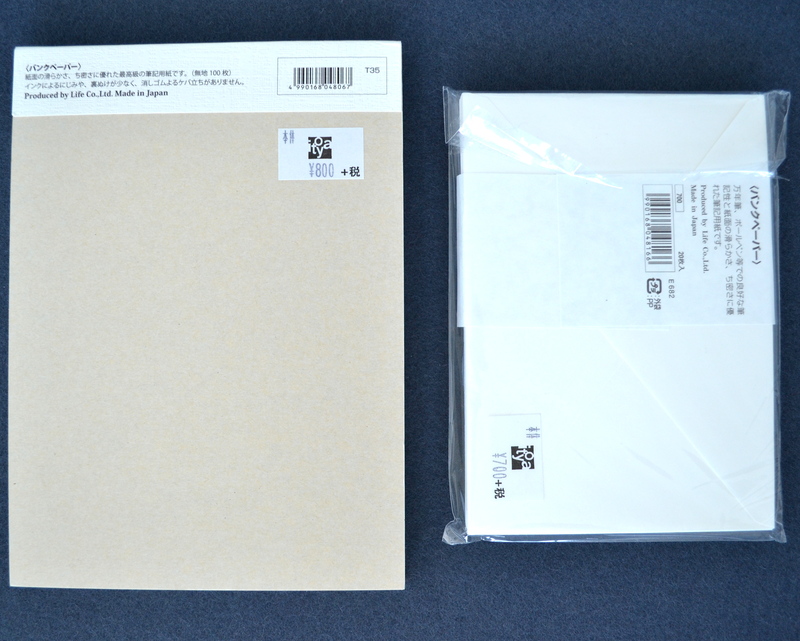 I do not know the weight of this paper but my guess is that it is somewhere between 90 and 100 gsm based on comparisons with other papers. The paper is thin enough that I can use a guide sheet to keep my sentences straight (something I really need help with). 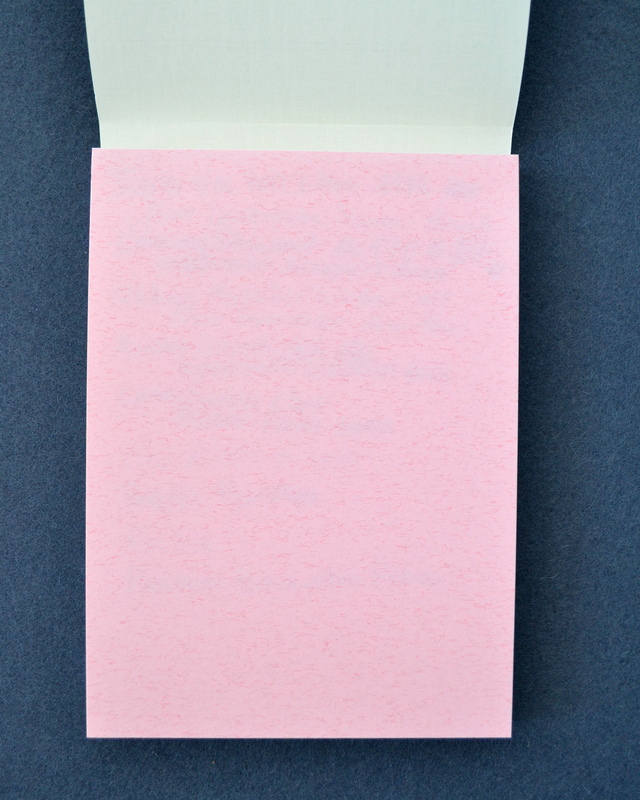 The pad has a nice pink blotter page. 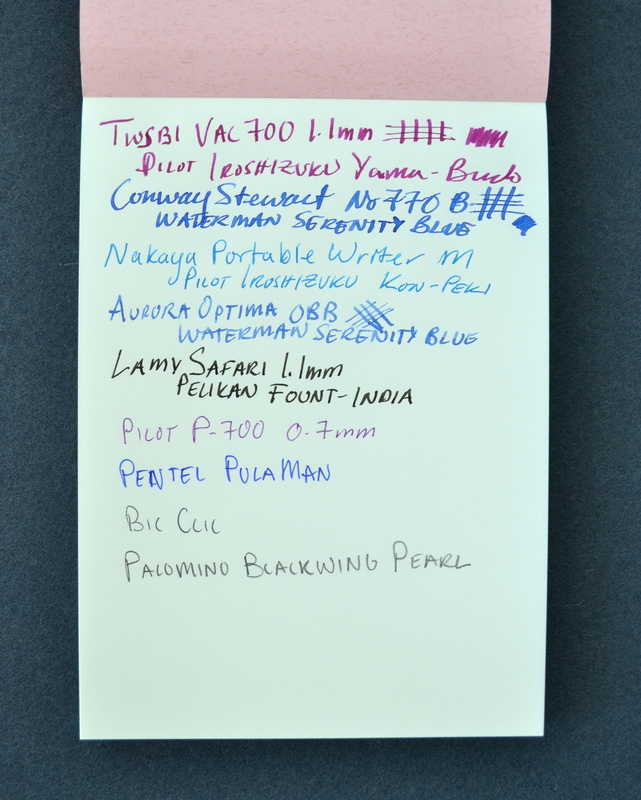 The paper handles fountain pen ink with flawless performance. No bleed-through no feathering. 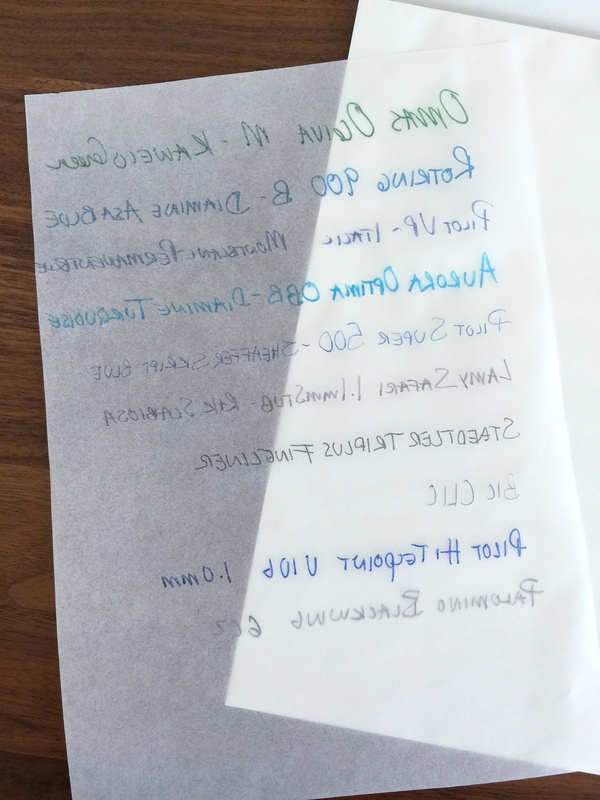 The paper is thin so you do get some ghosting but it’s not enough to bother me. 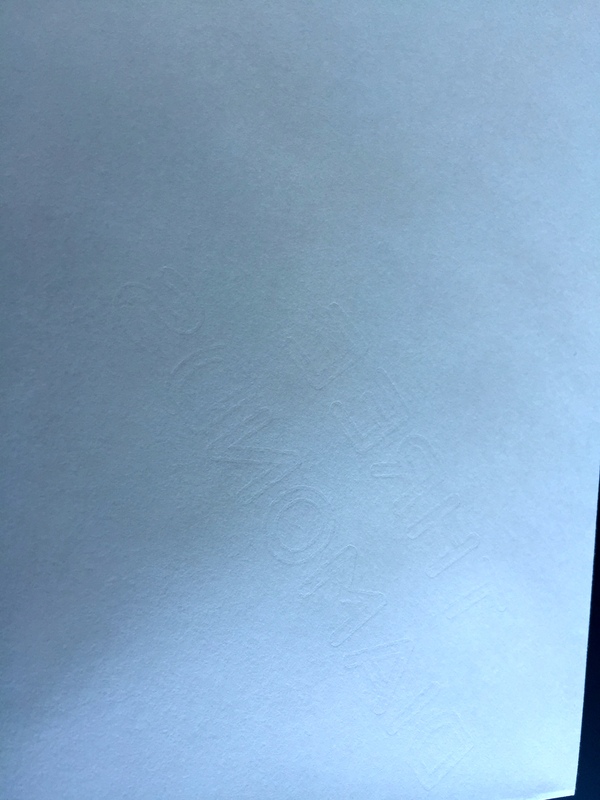 Maybe it’s a watermark but it seems pressed into the paper and holding it up to the light makes it harder to see. 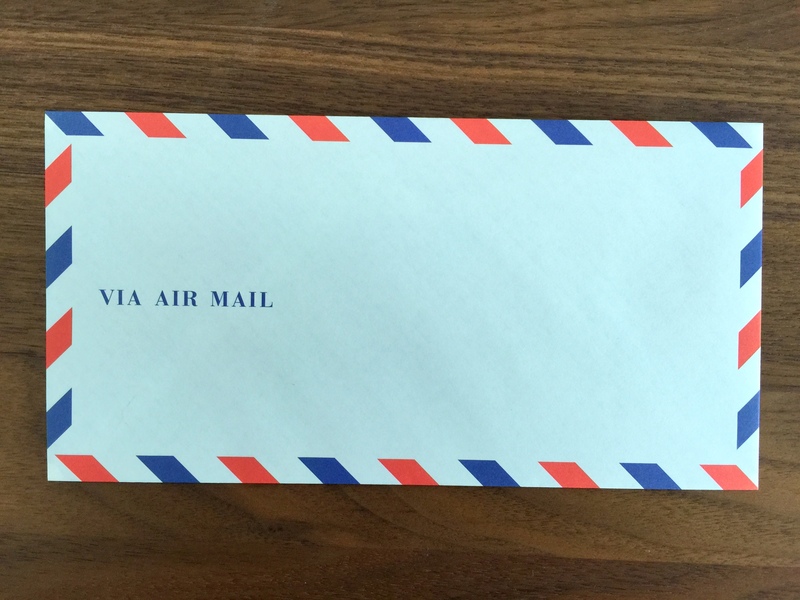 The other strange thing is that it appears to be printed backwards as if you are to read it from the inside of the envelope but you can’t because they have a paper lining. 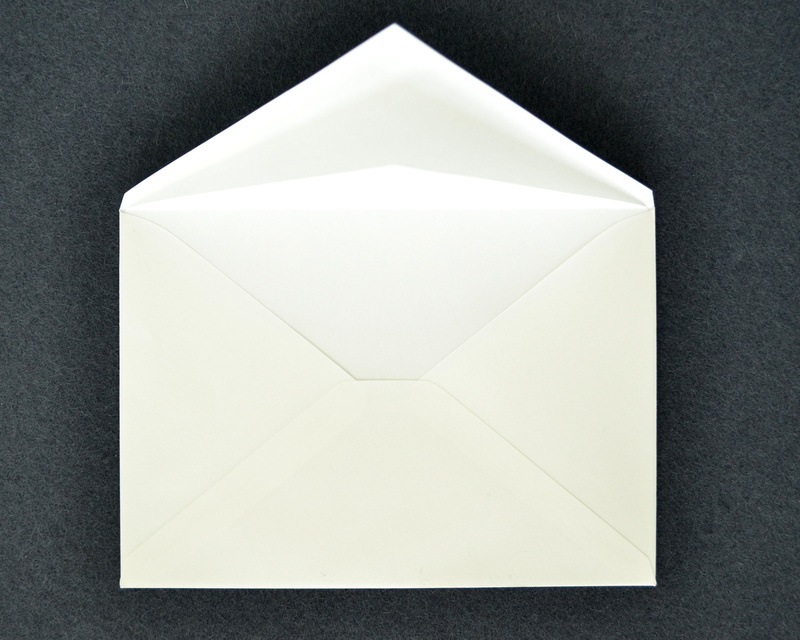 As a sanity check I looked at the other envelopes and they are all done this same way. The embossing or whatever it is reads “THREE DIAMONDS”; I don’t know what it refers to. I also am not sure why they call it bank paper. It’s a simple woven paper not something that you would use for bank notes. 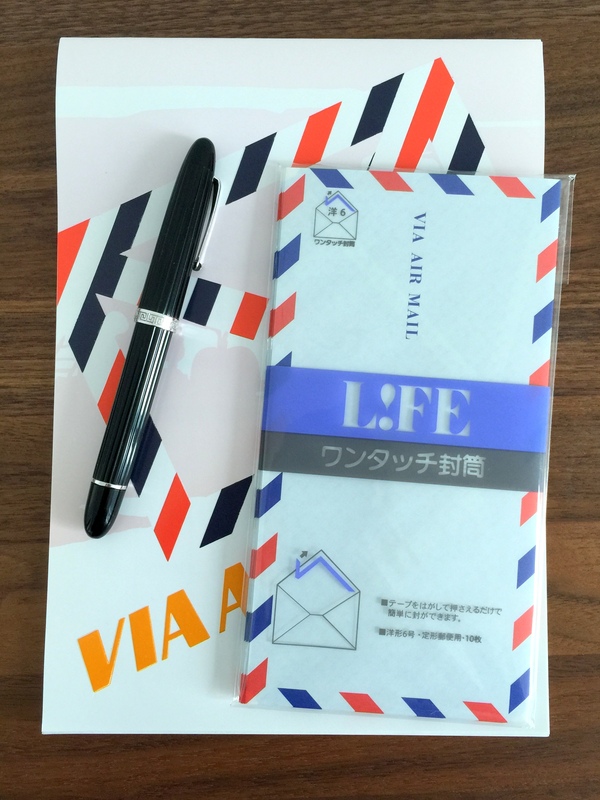 …anyways I paid about $7 for the pad and $6 for the envelopes when I was in Japan. 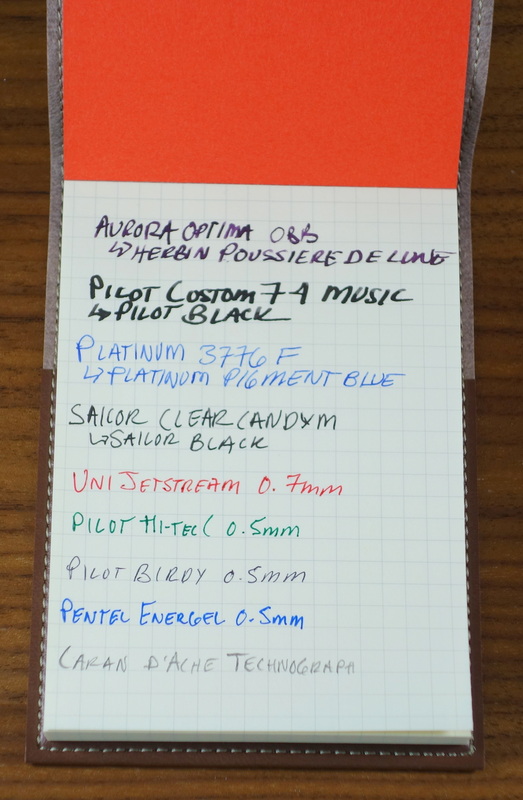 I really wish I had bought a lot more of the pads because they cost approximately the same as an A5 Rhodia pad. In the United States the prices I have seen are a lot higher, $20-$22 for the pad only and that price I wouldn’t bother. I have been informed that this paper is actually manufactured by Mitsubishi, hence the watermark “THREE DIAMONDS”. 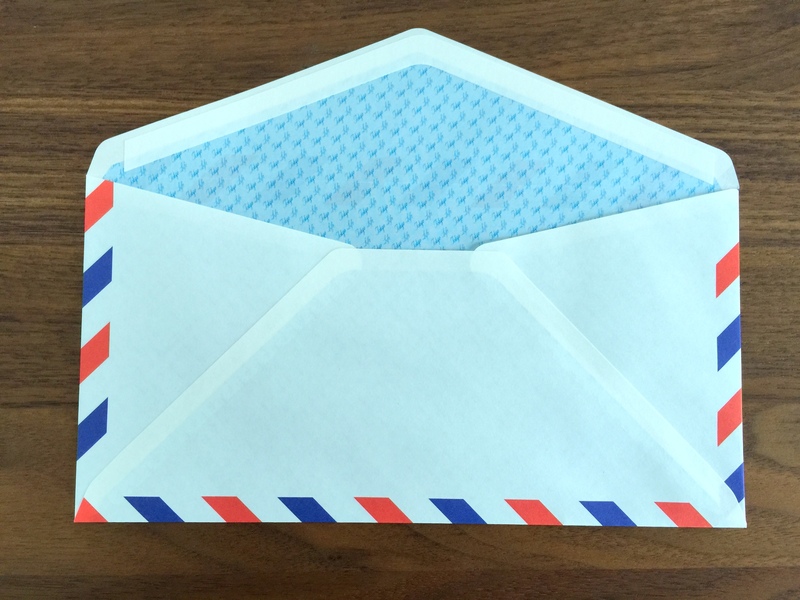 According to Mr. Taut this paper’s originates from the Mitsubishi Group’s banking activities, the most visible of these being Japan’s largest bank, The Bank of Tokyo-Mitsubishi UFJ. 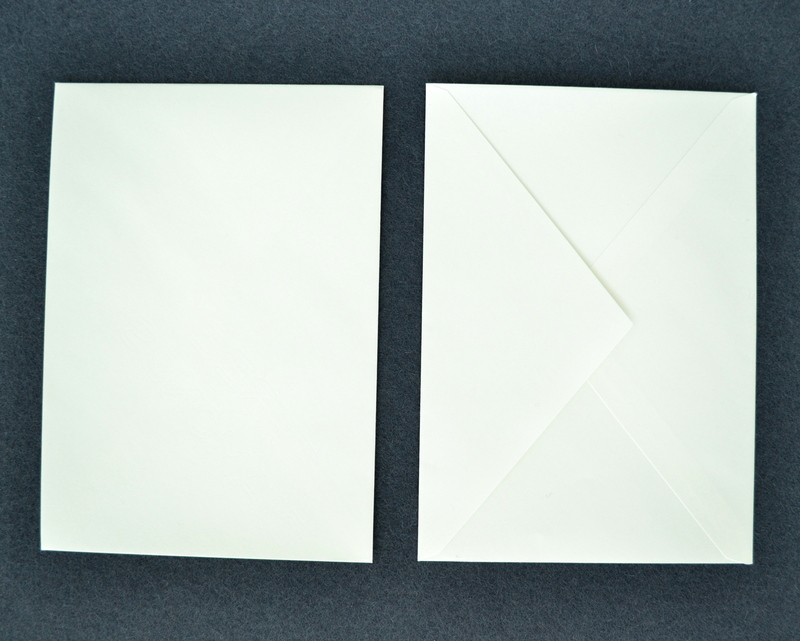 In recent years LIFE has become one of the most coveted brands of Japanese paper. 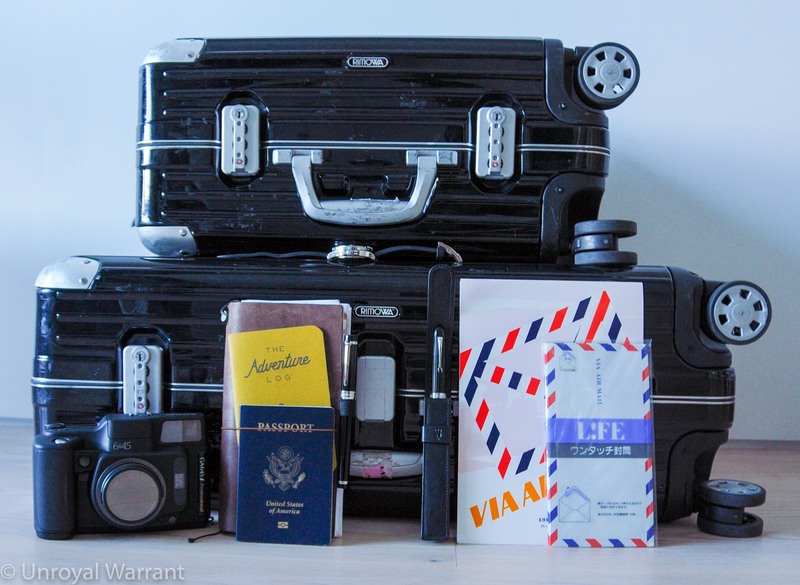 It is generally more difficult to track down than my favorites Midori and Maruman. The prices of LIFE products in the US seem to be uncontrolled as they vary quite a bit and tend to be overpriced. 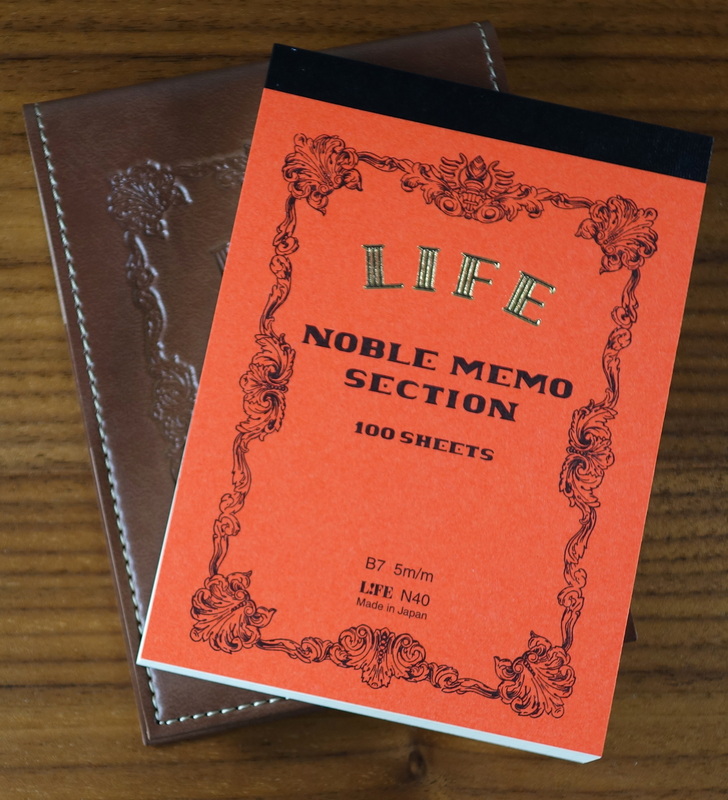 The product I will be reviewing is the B7 size LIFE Noble Memo Section pad and leatherette cover that I picked up on my recent trip to Japan. 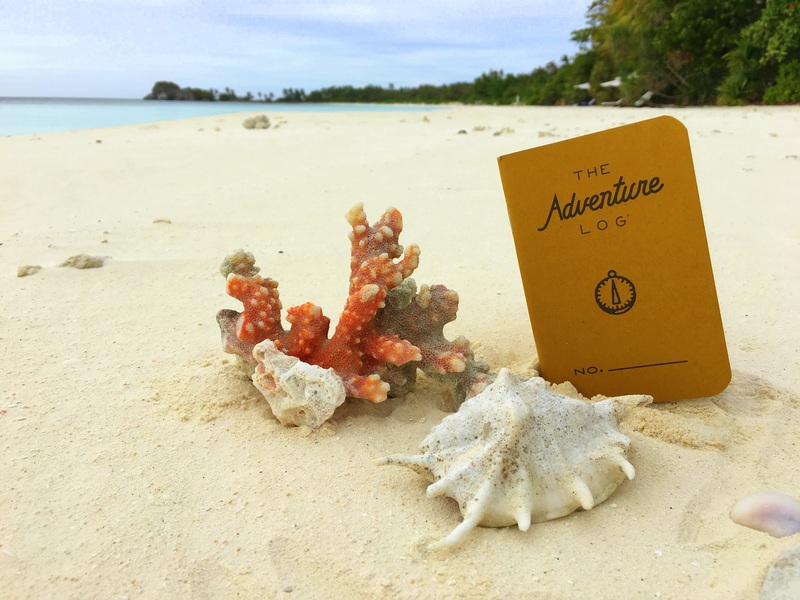 The Memo pad features 100 cream colored sheets with a faint 5mm graph. 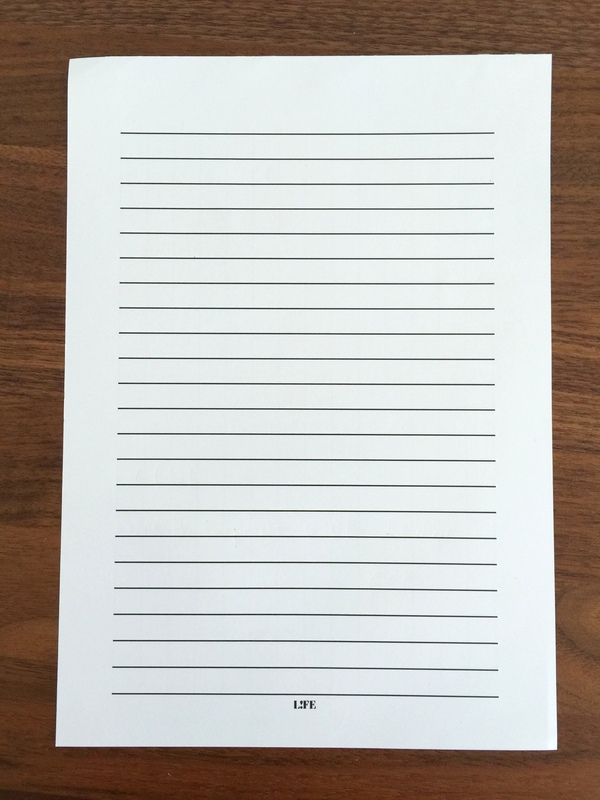 The graph is printed on one side only; the back of the page is blank. The orange cover has a great vintage look to it with the black scrollwork boarder and raised gold and black “LIFE” letters. 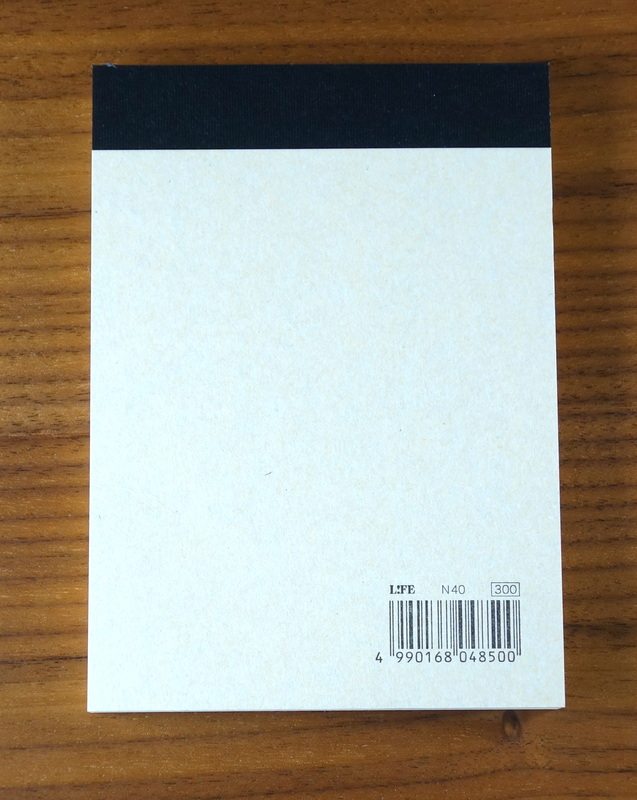 This memo pad oozes quality. Everything on it is tight and the taped binding is one of the best I have seen. 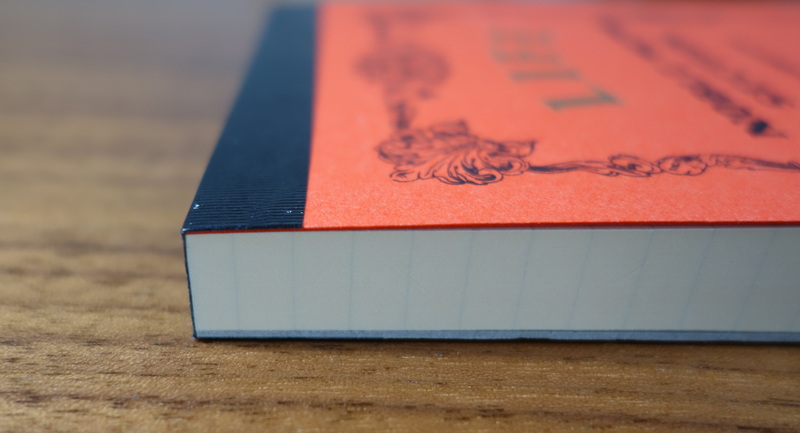 You can open up to the middle of the book and it will lay flat and then you can close it and you would have no idea that this book as ever been open. The cream colored pages are very high quality. 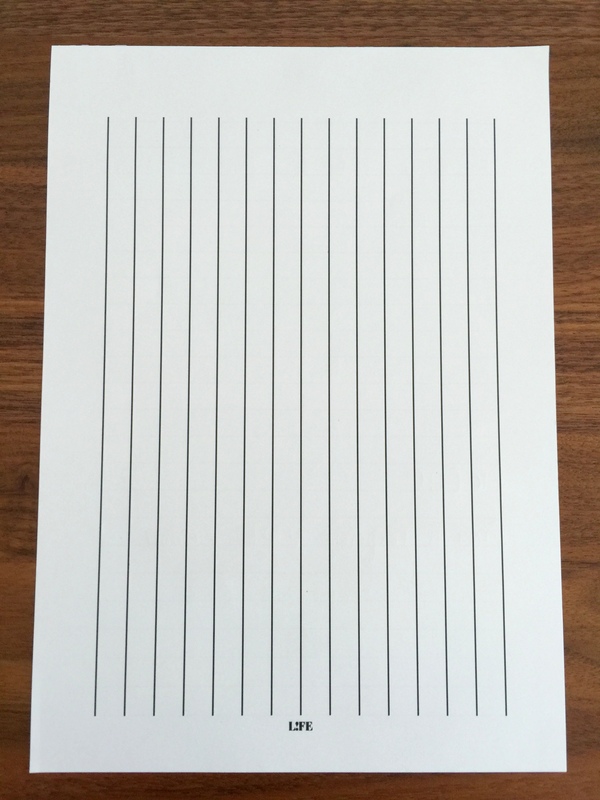 If you look at the blank side of the paper you will see that is ribbed. 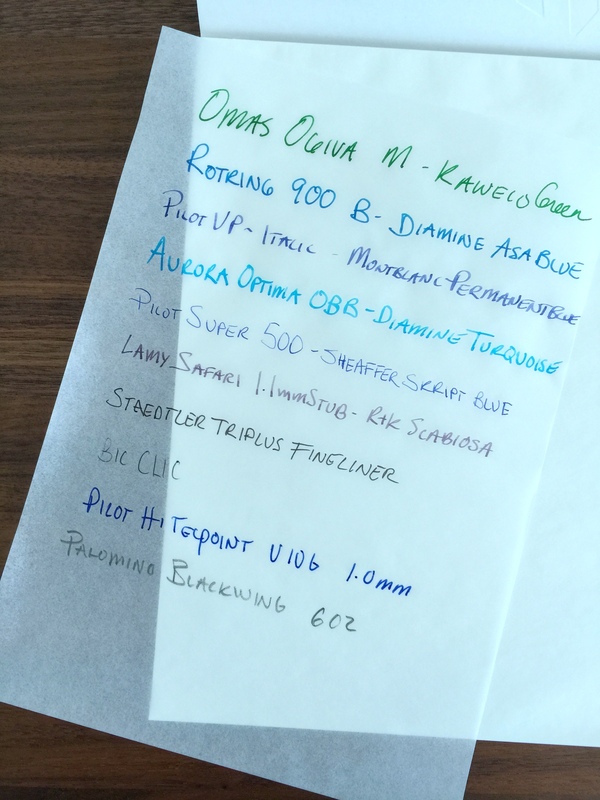 I tested the paper against Rhodia’s 80 GSM paper and found the dry time to be about equal. 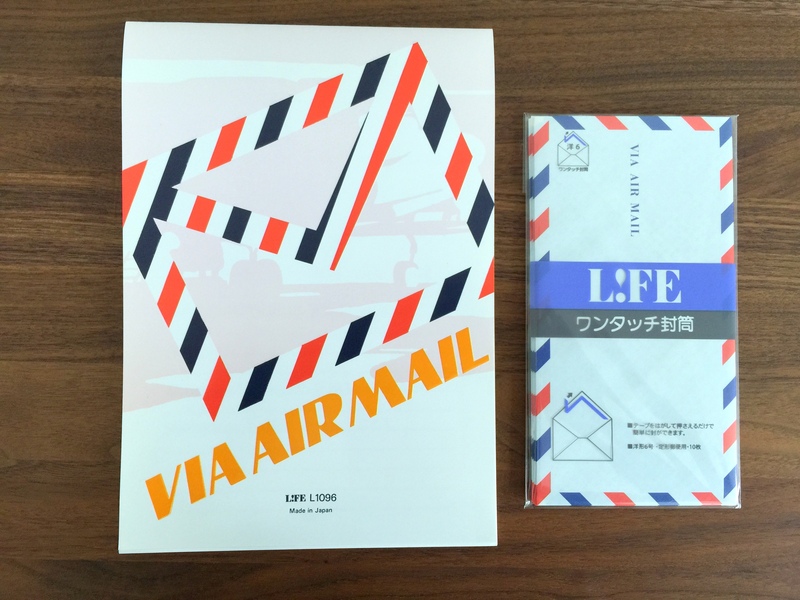 The LIFE paper is a bit thicker and is more resistant to bleeding. It took multiple strokes with my fat music nib to see any bleed. The grid lines seem to resist ink and while that doesn’t bother me it may bother some. No bleed to speak of and minimal ghosting. If you look closely you can see the ribbing. 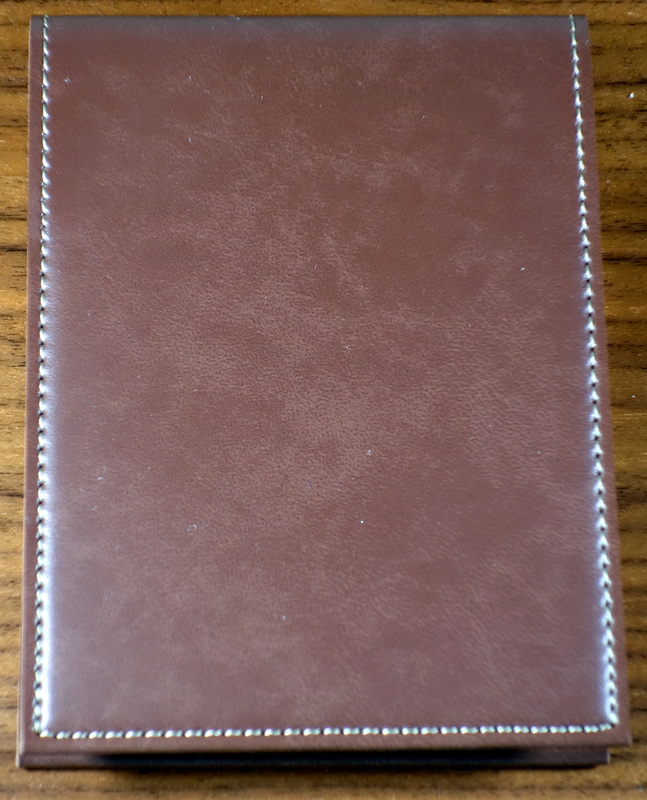 The cover is a brown leatherette that looks sorta like leather but definitely doesn’t feel like leather, that is to say anyone who touches it wont likely be fooled. 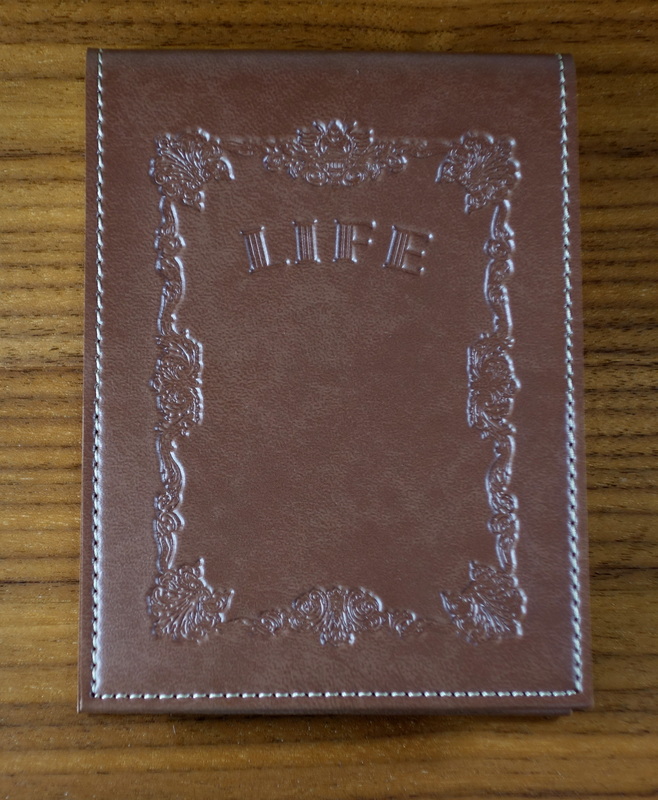 Pressed into the leatherette is “LIFE” and the same scroll work we saw on the paper cover. 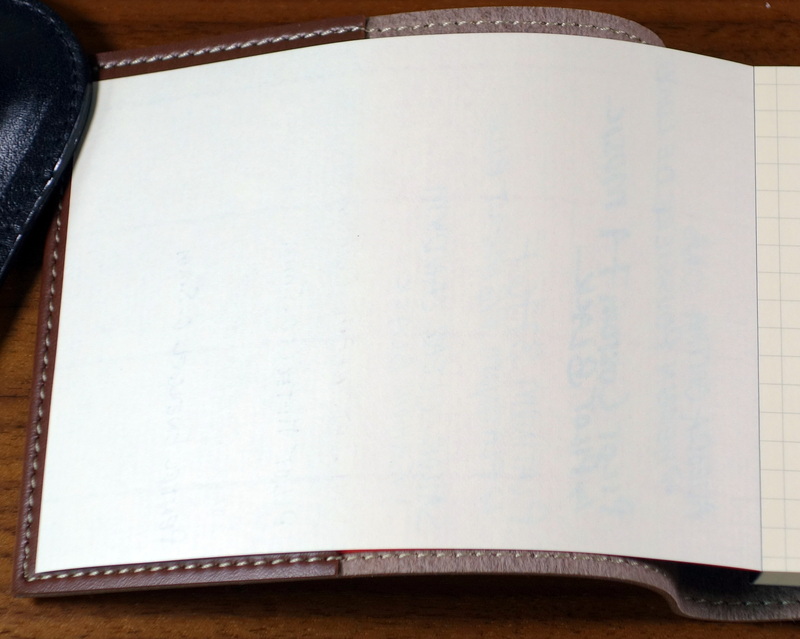 The fit and finish like the notepad is immaculate with beautifully aligned stitching. 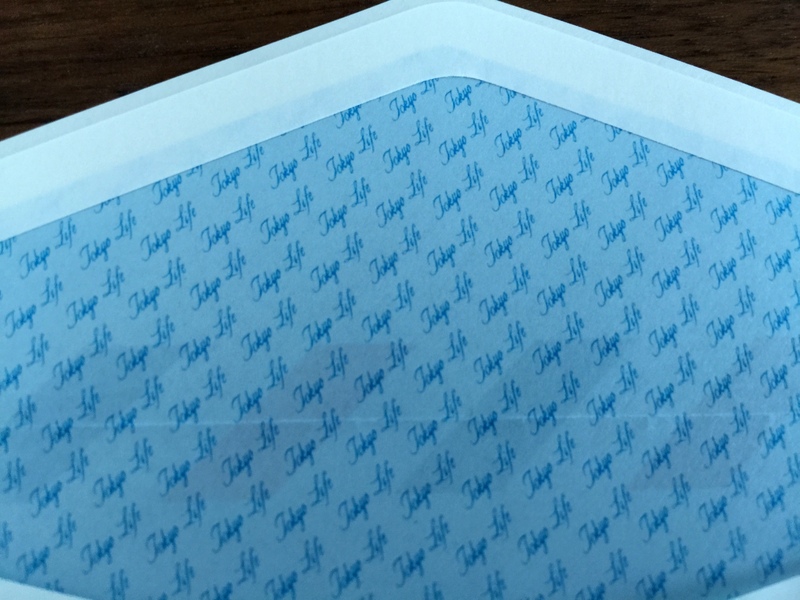 I have found that in addition to protecting the notepad the cover also helps keep the pad open when you are at the beginning of the pad. I really wish they did this thing in leather. So what about the price? 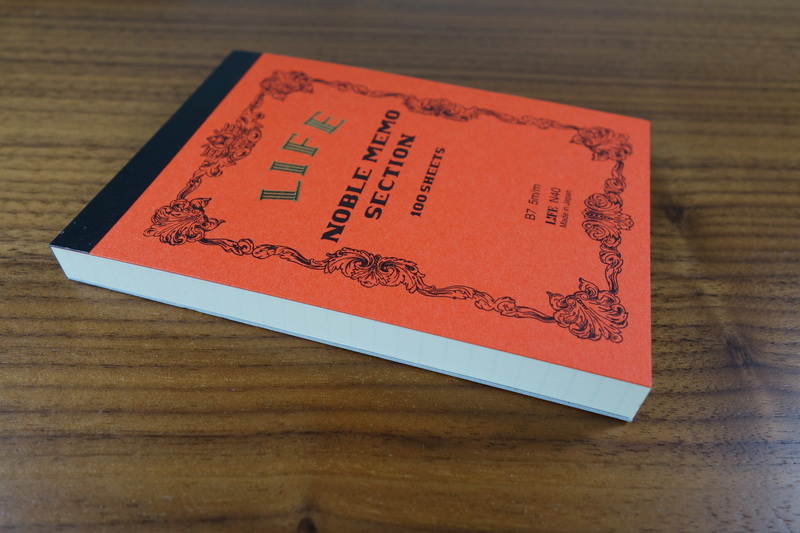 The notepad with notebook cover retails for 1,000 YEN which is just under $10 USD. In the US, unfortunately, the prices are considerably higher. I found the cover (no pad included) for $20 and I found the pad for $8. 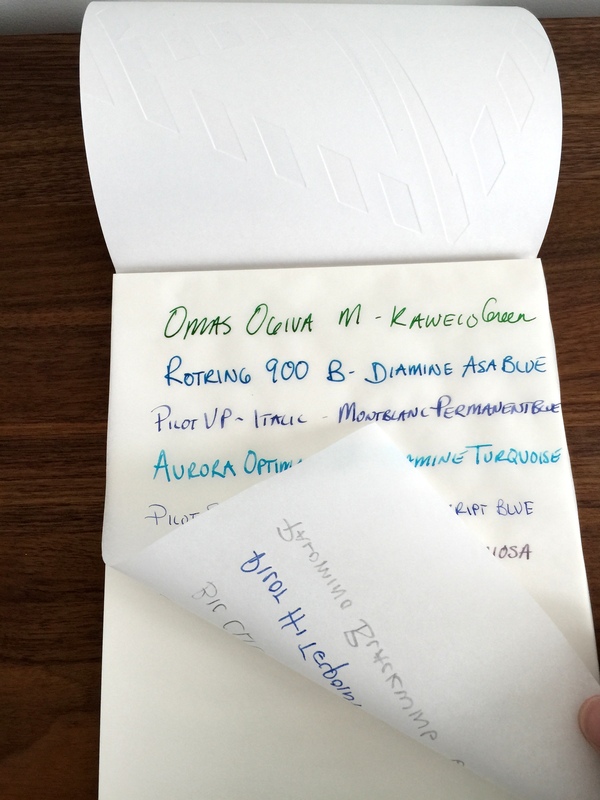 To me even with the unusual high quality, $28 is too much money for a little notepad with a leatherette cover. At $10 it’s still expensive but much easier to justify. I have no affiliation and no purchase experience with this store but their prices seem to be more in line with Japanese retail.